The information below is based on a leaflet produced by Santander Bank called “How to Protect Yourself Against Scams” and outlines how the most common scams work. This involves a fraudster calling you and posing as your bank or another organisation. The number they’re calling from may be ‘spoofed’ to make it look like it’s from your bank or another legitimate organisation. They tell you that you’re at risk of fraudulent activity and must transfer your funds into a ‘safe account’. You will often be pressured to act immediately. This ‘safe account’ is actually the fraudster’s account, so your money is sent directly to the fraudster. They will often give you a number for your bank to call to verify that the transaction is genuine. Beware, the number given will be for the fraudster’s organisation who will pose as your bank and tell you that everything is OK.
Never call a number given to you by a caller. Some fraudsters pose as police officers to persuade you to visit your local branch and withdraw funds from your account. They’ll tell you that you’re helping with a police investigation. The fraudster will tell you not to inform the staff at the branch of the real reason for the withdrawal. Once withdrawn, the money is collected in person from you by a courier or the fraudster themselves. Some fraudsters might ask you to make a high value purchase, for example a watch, which is collected by the fraudster. A fraudster cold calls and says they’re from a telecommunication or computer company (e.g. Microsoft) and will try to access your computer. They might state that your computer has malware (viruses, trojans, etc) or other problems and either offer to (or insist that they) fix them for you by remotely connecting to your computer. No legitimate organisation would ever be in a position to know that you have problems with your computer, and wouldn’t fix them for you in any case. They might offer to upgrade or protect your computer – this could be to improve its running speed or internet connection – or for assistance for refunds of overpayments. These callers may ask you to log on to your online banking and will attempt to remotely access the computer to ‘help’ you with the problem. However, the remote access allows them to release malicious software and gain access to personal and security data. They may even be able to access your online banking directly. Never allow anyone remote access or connect to your computer following a cold call. You own shares in a public company listed on the stock exchange and you receive a call from an organisation (agent) from anywhere in the world stating that they would like to buy your shares (often for a third party). You assume that it must be a genuine call as they know that you own these shares and have your contact details. In fact shareholders details of public companies are public and easily accessible to anyone. The caller will offer greatly inflated purchase price for your shares to entice you to sell. When asked why they are offering so much they often say that it is because their buyer is making a “hostile takeover bid”. If you decide to sell you will often deal with many parties sometimes in multiple countries and you will be sent various forms to fill in and email back to them. The forms will request personal details such as your bank account number in which they should pay the funds into. The whole scam seems so elaborate that you think that it couldn’t be a scam. Eventually, however, a request will be made for you to send money to an account in order for funds to be released to pay for your shares. If you are selling something you should never have to send money to them first. If the buyer or agent has costs for which you are liable they should be able to take the money out of what they pay you. Needless to say, any money you send will not be returned and no purchase of your shares will take place – the fraudsters were never interested in those. Never give your credit card or online account details to anyone until you have verified that they are genuine. Genuine share buyers will always contact you by post and never make first contact using the phone. Remember – if it’s too good to be true, it usually is! These scams are where you find an item online at a very reasonable price, but after talking to or emailing the seller, you’re told that the item (such as a car) can’t be seen in person. The seller will persuade you to transfer money to secure the item. Sometimes they send you a fake website link to send the payment. This is to make the transaction look real. Beware – the site may look like a well-known website, but the link will take you to a fake version of it. Once the funds are transferred into the fraudster’s account, the seller and listing vanish. It’ll leave you without the item or your money. Be careful when you’re selling something. A buyer could be a potential fraudster. Here’s how they do it. The buyer will give you a cheque of greater value than the value of the item being sold. They ask for the extra money to be transferred back or sent to a third party, for example a ‘shipping agent’. Once this has been done by the seller, the cheque bounces and the buyer then disappears, leaving the seller out of pocket. Fraudsters send texts saying that they’re from your bank, and that they need you to update your personal details or speak with you urgently. The text message can fall into previous genuine text threads, this helps to make it look legitimate. The message normally contains a telephone number (premium rate) to call or a link to a counterfeit website that asks you to enter personal details or transfer money as your account is at risk. Never give out your personal or security details; you can provide a fraudster with everything they need to take money from your account. These scams happen when fraudsters intercept an email conversation between you and a legitimate contact who may be asking for payment for goods or services, like solicitors for a house purchase or a builder. The fraudster may say that the bank account details for an outstanding or future payment need to be changed and the email will appear to be from your genuine contact. Always confirm any change of payment requests with the company directly. Do not respond to the email address the request has been sent from or use the contact details they provided – use a previously used number to verify the change. Dating or romance scams are when you think you’ve met your perfect partner online, but they aren’t who they say they are. Once they’ve gained your trust, they ask for money for a variety of emotive reasons. Never send money to anyone you don’t know and trust. Never give your credit card or online account details to anyone. Always chat through the dating site or chat room where you met – not via email. Protect your privacy and don’t reveal too much information online, especially on social networks. Information like your card PIN, One Time Passcode (OTP), password or security numbers are personal to you and shouldn’t be shared with anyone – not even your bank. Your bank or the police will never ask you for PINs, passcodes in full or to surrender your card. A bank will only ever ask you for part of the details, such as the first and fifth letters of the password. This is so that they can always get in touch with you to talk about important information relating to your account. No bank will ever ask you to do this. If you’re asked to transfer money out of your account for security reasons, end the call immediately, take a five minute break and call your bank using the phone number on the back of your bank card. Never call a number that is given to you by the person contacting you. No bank will ever email you to ask for your information. If you get an email like this, it could be a fraudster trying to get your confidential information. Always use a trusted anti virus program when using online banking. 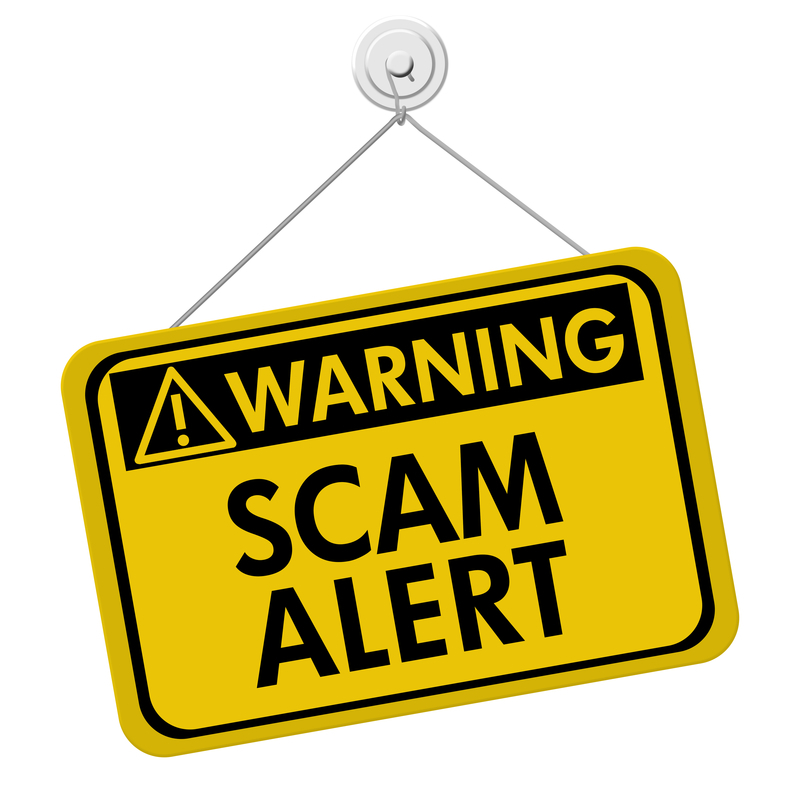 Always be wary of spam post and emails, people who visit unannounced and people who call saying they are police officers, bank staff, Microsoft, or from a telecommunications company such as Openreach, BT, etc. Never assume that if the person or organisation contacting you knows a lot of details about you then it must be genuine. Better to terminate a genuine call because you are being cautious than to fall for a scam. If necessary ring back on a number that you have obtained yourself, from the back of your bank card, for instance; never ring back on a number that the caller has given you. Also, wait at least 15 minutes before calling back to ensure that the caller hasn’t kept the line open to intercept your outgoing call. Alternatively use a mobile phone to make the call.